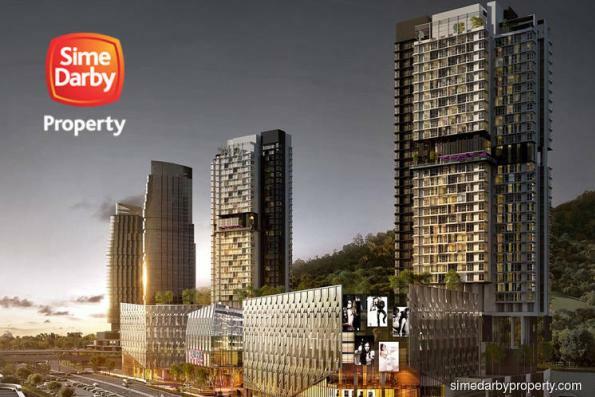 KUALA LUMPUR (July 6): Sime Darby Property Bhd said it sold as much as 90% of its new launches within one week, suggesting resilient demand for both its residential and commercial products despite the soft property market. This refers to the final phase of its landed home series in Denai Alam situated at the heart of City of Elmina, dubbed Semanea Hills, which comprises a total of 162 units, as well as commercial units at 3 Avenue in Bandar Bukit Raja (BBR), the property giant said in a press statement yesterday. According to Sime Darby Property, the Semanea Hills superlink homes were 90% sold last weekend, while the semi-detached units were 73% sold, resulting in a combined take-up rate of 50% across the entire Elmina Green development. On the commercial front, it said 80% of its new commercial units at 3 Avenue in BBR were bought within a week of their launch on June 9. This comes after a similar success in April, where 90% of BBR’s residential property Athira were sold in just one weekend, it said, adding that the new phase of Athira is now open for sale. “Bandar Bukit Raja is well known for its strategic location and seamless network of expressways, establishing the township as an ideal location for living, commercial businesses and logistics. This is a great response to our latest campaign and for those who are keen, we are still offering units for sale accompanied by an attractive sales package,” said Gerard Yuen, the company’s chief marketing and sales officer. Semanea Hills, which has a gross development value of some RM170 million, is a freehold development comprising 114 units of superlink homes, as well as 48 units of distinctive semi-detached homes. Meanwhile, 3 Avenue in BBR is located on a 6.27-acre (2.54ha) site and strategically located in the suburbs of Klang, accessible to all major road networks and key locations within the Klang Valley. 3 Avenue’s development consists of double-storey shoplots and double-storey semi-detached commercial units.